Selecting a new or replacement CMS is one of the most strategic technology decisions you can make. Why? Because customers and prospects expect personalized, engaging, dynamic, and high quality experiences and will leave if they don’t find them. Selecting the right CMS is important because it is a primary tool in providing those experiences and the hub that connects and drives many of the components that make up customer experience management. 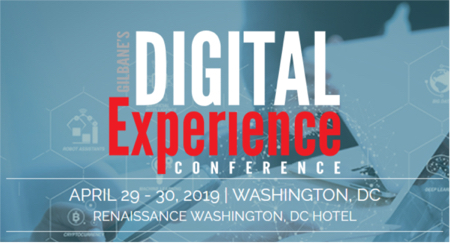 This post is based on a white paper entitled “Beyond Customer Experience: What Your CMS Really Needs to Deliver, “ which was also the subject of a recent presentation I did at the Gilbane Conference. You can download the white paper (registration required): at https://bluebillinc.com/white-paper-beyond-customer-experience-management/ . Providing a personalized and seamless experience to customers across myriad devices, touch points, and stages in the relationship is a big challenge; one with which many organizations struggle. A recent Bain & Company survey found that while 80% of surveyed executives believe their companies are delivering a great customer experience, only 8% of their customers agree. One reason they struggle is that customer experience is only part of the equation, specifically, the goal. The other parts of the equation that achieve that goal are content creator experience, developer experience, and integrator experience-in total, the “global user experience.” While those are “behind the scenes players, they create and shape the customer experience. Key to achieving a superior customer experience is the ability for content creators, marketers, and developers to focus on the experience itself, not the mechanics of producing it. That requires a mature CMS solution that provides a balanced set of tools and capabilities for content creators, developers, and integrators. That, in turn, requires a coordinated CMS selection process amongst all of those stakeholders that emphasizes not only the individual experiences, but the collective experience as well. As we noted at the top of this post, selecting a CMS is a strategic decision-the CMS solution that provides the right global user experience is a growth engine that helps power the success of any business or firm-the right strategic decision. There are many reasons to be excited about the Internet of Things, a content channel is not usually considered one of them. In fact, the mere suggestion of a need to support one more digital channel is enough to cause many execs to consider a career change, never mind n additional channels, and n is the future. Many internet things don’t and won’t need to prepare content for direct human consumption, but many will – cars and watches and glasses are just the beginning. The variety of form factors, display technologies, and application requirements will present challenges in user experience design, content strategies, content management and data integration. The session we are spotlighting today will focus on the user experience design challenges, of which there are many. How can your smart washing machine, refrigerator and dishwasher be mated with intelligent apps, CRM, and dynamic content management systems to create real-time marketing and ecommerce experiences? What happens to content strategy and management as app-enabled “playthings” become essential to your work and family life? What do we do as video baby monitors become digital caretaking, developmental tracking, medical monitoring, and product ordering parent-bots? What is the optimal customer experience for using voice to simultaneously integrate and operate your car, your mechanic, your GPS, your iPod, your radio, your tablet and your smartphone? What best practices are needed for creative designers, content strategists, marketers, and user experience designers to create engaging Internet of smart things experiences?